Finally there is news on the film UN AMORE COSI’ GRANDE, where Piero, Ignazio and Gianluca also act! Federica Andreoli, producer of the film, has sent this new, beautiful video, which I’m going to translate for you. He also said that the film will be released by MEDUSA and will be in cinemas from September. I asked Federica Andreoli, if it will also be distributed in America and she immediately replied that it could be distributed there too, we cross our fingers. Here is the video and the translation. C.De Mattheis (director): The story of the film is the story of Valdimir, a 25-year-old boy, a boy like many, is Italian but who has lived in Russia and arrives in Italy in search of his father. Di Maggio (actor): In the film I play Vladimir, who is a boy who lived in St. Petersburg, with a mother who has always taken care of him, and who in the past was a great lyric singer. He has has lived with a great soprano and therefore, inevitably, there was this massive presence of music in Vladimir since he was born. 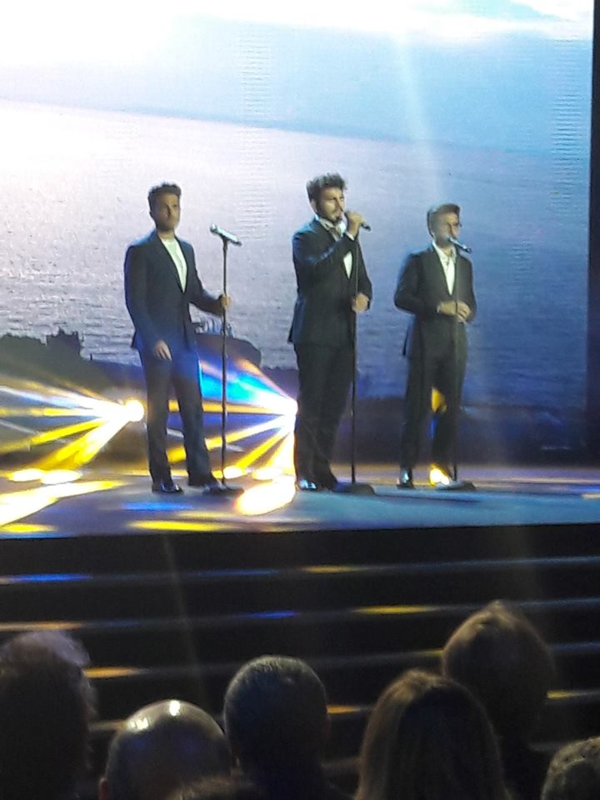 F.Andreoli M.Calì (producer): We can say that we were the first to give the first film CIAK to the guys from IL VOLO. They had never acted in a film. We are satisfied with how they worked, we were fine, they had a great time with us and we are happy with this. 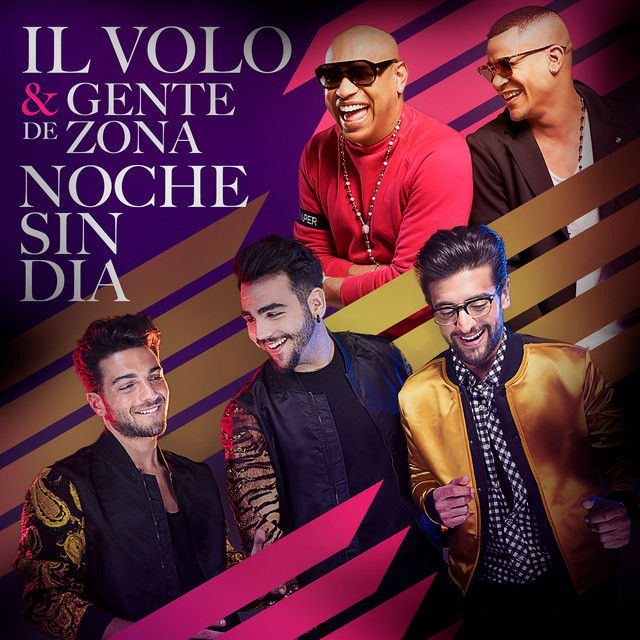 Di Maggio (actor): As for the boys of IL VOLO, I had a great prejudice at the beginning, because they are international stars, and I thought they would behave like a star. In reality it was not like that, in the sense that they are very nice and very available guys, and they are busy doing this job. They interpret themselves, but their characters, give to these stars, these VIPs, a great humanity, in the end they are boys and this is evident in the film, and it is very nice. C.De Mattheis (director): The choice to make this film is certainly due to the fact that in this film, for the first time in my career, I have the opportunity to talk about my great passion, the Opera. Di Maggio (actor): I had great difficulty, at the beginning, above all, because I inevitably had to take singing lessons, and a very technical lyric song. We sang extremely difficult arias, and we had to concentrate on this and also Russian lessons, because the scenes acted in Russia are acted in Russian, with Russian actors. I personally have a great desire to see this film and also to see how Piero, Ignazio and Gianluca work in the role of actors . . . and you? I will keep you informed about the development. Thanks for the update on the film. Happy to see it finally has a release date. FYI I just returned from 3 weeks in Sicily. I spent the last 8 days in Pieros home town of Naro. There were 4 of us on the tour with Pieros good friend Dario Mirabile. We were fortunate to have Piero welcome us on the first night. What a dear, sweet young man he is. He invited us to join him the next morning for brioche and coffee. We met him in Naro’s town square, and his sister Mariagrazie and brother Frank also stopped to say hello. She had just taken her final exams to graduate from high school and was so relieved to have finished. Piero’s dad came by and then they all left to go to lunch at Eleanor and Gaetano’s house. Piero came to see us at least 5 more times, sometimes at the beach with his friends. It was so exciting to have a one on one with him. They are all lovely people. I am so lucky😊. WOW! How wonderful! 🙂 I am SO happy for you! You’re welcome, Rose Marie. So glad you could get some time with Piero and his family after traveling all that way to Sicily! Thanks Daniela and Pat for the update on the film. I hope they decide to release it in the US. And, wow, Rose Marie how fun to have that unique experience in Naro. I hope you will write more about your experience on that trip. Do you think that Dario is planning to offer this trip again in the future? Of nothing, Janet, it is a pleasure to update you on the film. You saw that nice ride has made RoseMarie, I think Dario will organize other similar tours, soon there is another one and also includes the concert of Taormina. Dear RoseMarie, you know how happy I was of your Italian experience, and even more happy when I knew you were with Piero and that Piero did not disappoint you at all, because he proved to be a serious, good and friendly young man. The only thing that was displeasing to me was that we did not meet, but there will be other moments. Now, however, you absolutely must write a nice post accompanied by your beautiful photos and you have to tell the whole crew, the beauty of your trip and your meeting with Piero. I’m counting on it. It is certain that you were lucky !! That sounds like a dream vacation! Since I will not be able to make it to Italy again I live trips thru pictures and the constant moving of the boys. I was so glad to hear a few videos of their concert last night. Gina, now I told RoseMarie to write a post of her trip, so you can better follow with the thought, the beautiful journey of Rose and her beautiful encounter with Piero. Tomorrow in a video of yesterday’s guys in Asti, you’ll read something very sweet that happened during the concert. Rose Marie, I’m speechless. What an amazing time you must have had. How marvelous to have such a trip and to spend time with his family. It sounded like a warm and friendly time. What memories you will take home with you. We of course will want all the details. Daniela, thank you again for keeping us updated on the film. Do we have to come to Italy to see the movie? I’m just looking for another reason to get back to Italy. We love your information on the boys and you never disappoint. Bless you for always keeping us in the loop. Victoria, I also saw the pictures of RoseMarie and believe me, she and Piero are wonderful. Federica Andreoli, producer of the film, said that now they will continue to give new updates. Amazing! I have promised my 10 and 13 year old granddaughters a trip there next summer. We must renew our passports or we would have joined the July 23-30 Tour this year. Claudia, how lovely of you to take your granddaughters with you. That is a charming and very generous thing you’re doing for those girls. I know it will be an amazing trip. How beautiful Claudia, even if you have to wait another year. Victoria, I bet you’re thinking of coming with Jay too.